Like Overwatch, Apex Legends, the new hero-based battle royale game from the creators of Titanfall, contains a playable character who’s a bipedal robot with a heart of gold. He’s also got a bird friend, although I’m not sure how friendly they are. Reddit user Arzamar discovered that Apex Legends has an in-game banner pose that’s strikingly similar to Bastion’s bird-based victory poses in Overwatch. At least, initially. In Overwatch, avian pal Ganymede gently lands on a patiently waiting Bastion. 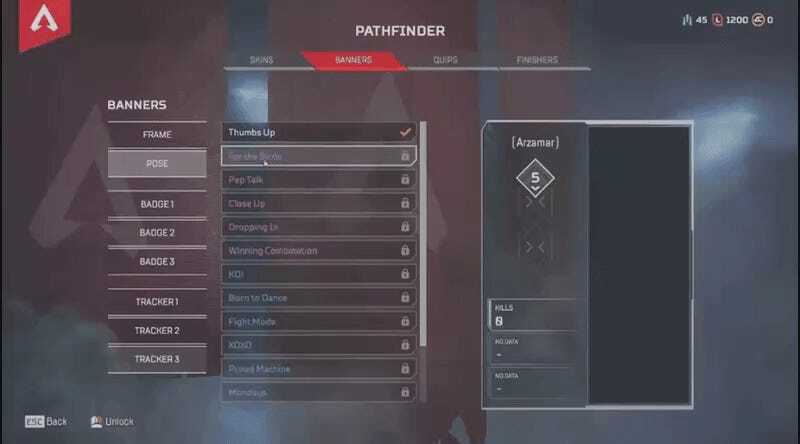 In Apex, Pathfinder waits with his arm outstretched, only for a bird to savagely claw at him until he flees into the camera. But I guess it makes sense. In a battle royale, it’s every person (and robot and bird) for themselves.